"Already the mother of five children, Lana Grant's late diagnosis of autism at age 38 transformed her experience of her sixth pregnancy. Based on her own experiences of the challenges and joys of pregnancy and motherhood, this witty, entertaining read provides insight into the unique challenges encountered by mothers on the spectrum and provides tips and strategies for understanding and overcoming them. 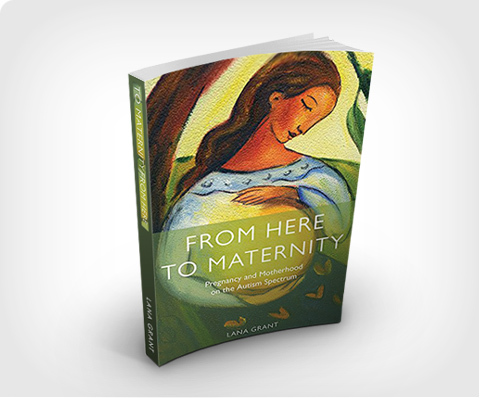 From physical and emotional changes, through to changes of routine and a lack of sleep, Lana Grant explains what women on the spectrum should expect in pregnancy and motherhood, as well as preparing them for the inevitable u nexpected! Her stories of learning to make allowances for her feelings and her witty anecdotes offer support and a like-minded voice to women on the spectrum. She discusses everything from learning to understand the language used by medical professionals, who to tell what and when, and the dangers of over-sharing, through to sensory challenges during and after delivery, what to expect from staff in the hospital, and the social challenges of interacting with other mums before and after the birth. The first book on this important topic of pregnancy and motherhood on the autism spectrum, From Here to Maternity provides much needed support, insight and understanding for women on the spectrum, their family and friends, and the professionals working with them during and after pregnancy". The book is available to order from Amazon, specialist and mainstream book stores.